Stand out from the crowd with fast streaming promotion! Buy Spotify plays + song saves for your tracks and increase your visibility online. This unique service allows you to significantly increase the reach of the audience and the ranking of your tracks. Spotify tracks amount of plays for each track vs the amount of times a track is Saved. It effects the algorithm and popularity of the song. 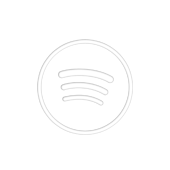 Our Spotify promotion services are 100% safe and real and guaranteed. No password required! As a leading Spotify promo provider, we offer the whole spectrum of music marketing on the popular music streaming platform. Explore Spotify followers, playlist push, and many worldwide geo-targeted services right here.